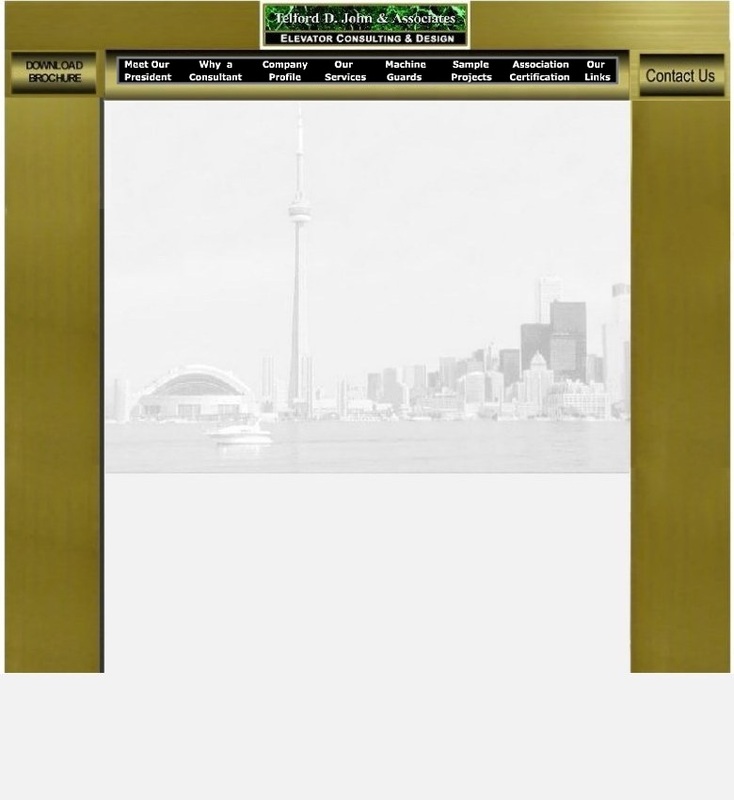 If you're an Architect you have access to many standard products available from the major elevator manufacturers. However, when your situation or needs fall outside the "Cookie Cutter" products you are usually left on your own. With Telford D. John & Associates you now have over 30 years of planning and design experience at your service to resolve and guide you through your special project with feasible solutions and specifications. If you are a Building Owner or Property Manager, with elevators being one of the most central focal points in any building both in aesthetics and performance, it is prudent to ensure that this major asset is kept from becoming a tenant detraction or even a liability. Although elevator maintenance contractors endeavor to provide a level of services expected to meet your needs, how do you know if their best intentions are being fulfilled? With an unbiased comprehensive audit and report you will gain a clear understanding of the condition of your elevators to ensure that your maintenance contractor is providing the best service in accordance with the contract. With the recent industry thrust of controllers requiring proprietary tools to service today's modern elevator, selection of the maintenance contractor should be based upon merit and customer satisfaction and not upon access to a tool. When your maintenance company proposes upgrades or modernization packages wouldn't you prefer to have an experienced elevator consultant review and evaluate the specifics and benefits on your behalf to ensure that the proposal(s) are cost effective and to your overall benefit? With an unbiased view we will identify which proposals have your best interest in mind and ensure that you receive the maximum value possible that would enhance your elevator investment.